XYZPrinting da Vinci miniMaker 3D Printer Review - Is it Any Good? 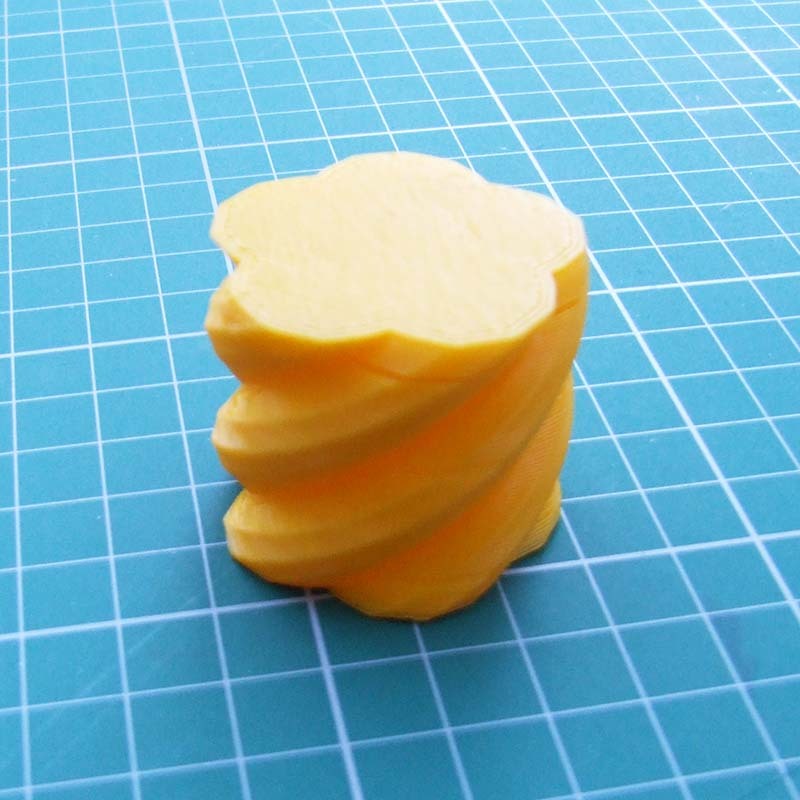 We got to try out the XYZPrinting da Vinci miniMaker 3D printer. Find out what we thought in this hands-on review where we put the printer to the test. The XYZPrinting da Vinci miniMaker is designed for families to use together. 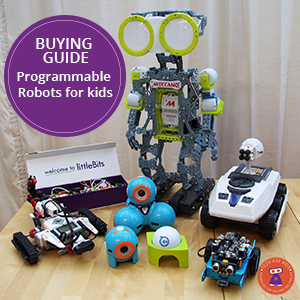 It's designed to be kid-friendly but age 14+ is recommended for independent operation. 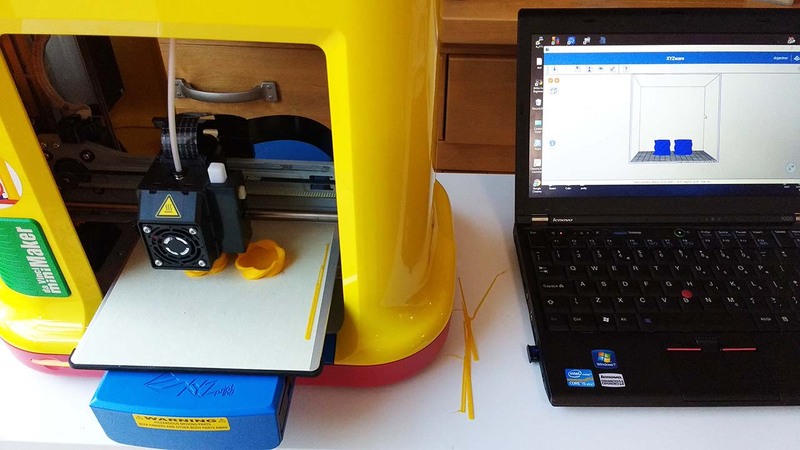 Disclosure: XYZPrinting provided us with a loan da Vinci miniMaker to review. As always, our opinions are our own. My kids have grown up around 3D printers, their dad makes his own as a hobby. They are used to requesting things to be printing and we've found ways for them to be involved in creating 3D models, from turning their drawings into extruded 3D prints and drawing around their hands when they were younger to their current explorations with 3D modelling tools. But they have never really been involved in the process of 3D printing - their dad's 3D printers aren't kid-friendly consumer devices. Having the XYZPrinting da Vinci miniMaker means they are able to be involved in the whole process and we can print directly from their laptops. The miniMaker is recommended for independent use from age 14, but with supervision younger kids can prepare the files and send them to the printer, with the actual printing taking place under the supervision of an adult. My kids are 8 and nearly 10. They can use a toaster as long as an adult is in the kitchen, I'd treat the miniMaker in the same way. An adult needs to take responsibility for cleaning the machine and keeping it in good working order and swapping filaments, but once it's ready to go, kids can get involved. Be careful with getting prints off the print bed as they can get stuck. The included tool for removing prints definitely shouldn't be used by children. We have several years worth of accumulated 3D printed plastic items (though we do give lots away at events) so we've got lots of items to compare with. 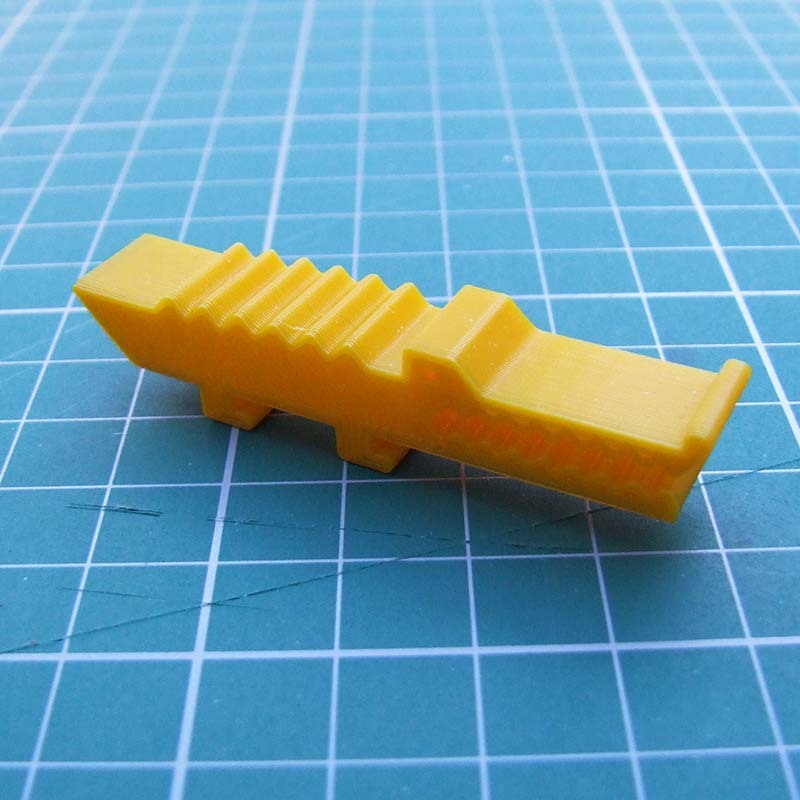 We've also got lots of experience with 3D printing and know what to look out for. We printed the XYZ logo keyring which came out quite nicely. It's quite a big model through so we had to wait a while until it had printed. The XYZWare software comes with some example models to print. We'd recommend trying one of these first as you'll know there aren't any issues with the model. The print quality of the miniMaker is very impressive. I had much lower expectations for such a low cost machine. 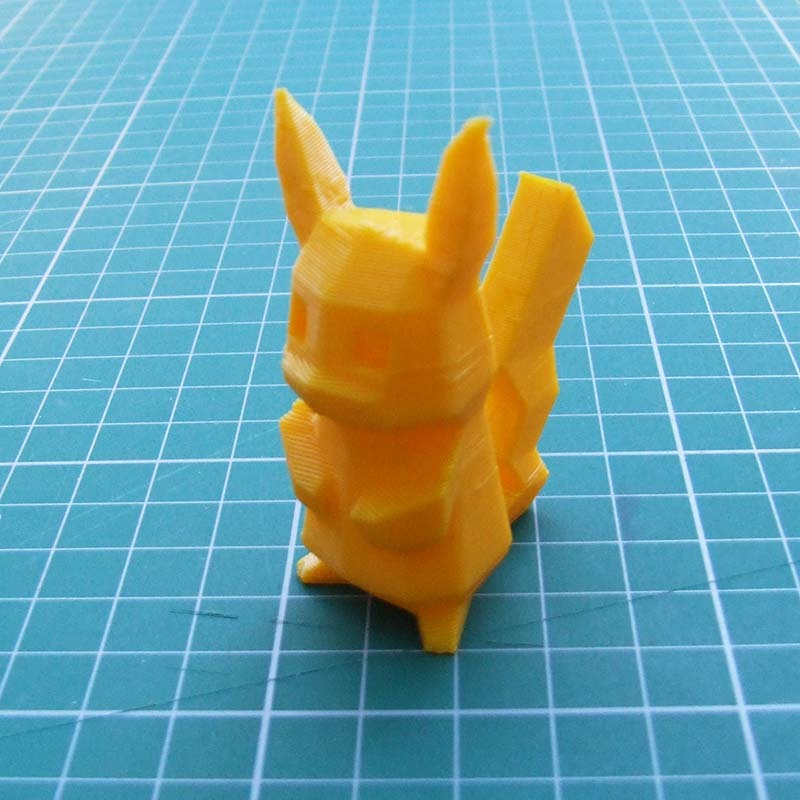 We started off with a low poly Pikachu, because well what else are you going to print first when you have yellow filament? Overall the quality is excellent, we can see the detail on the paws and the angles are really clean. There are a couple of tiny unexpected ridges but I don't think I would have noticed if I wasn't looking closely. We printed an alligator clip that we print regularly and some parts were neater than on our regular printer (a homemade delta printer.) There was one part of the model that looked like it could do with more infill, but that's down to the slicer software and not a big issue. Next we tried a twisty pot. 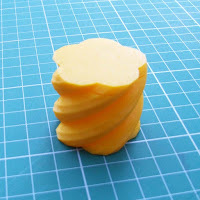 These are one of my favourite 3D printed objects, everyone loves to play with them when we take a 3D printer to events. It's a challenging print because one part needs to nest inside the other so the precision needs to be good. There are some areas of the print that aren't as pretty as the rest, probably due to moving between layers, but you'd have to get technical with a slicer to get better results. It's plenty good enough for a family printing fun objects. XYZWare makes it easy to print multiple objects at the same time so I loaded the top and bottom parts of the pot and printed them at the same time. The result is pretty impressive. The two parts twist together nicely, not too loose, not too tight. The movement is slightly smoother in some orientations that others, but it works whichever way around you join it. If you look closely you'll see that some parts of the pot aren't as neat as others which is probably where the layers start and end. Our next model was a wobbly fish skeleton. This is a single print with gaps between the parts so that it can move. If it was printed badly it would either be solid without any movement or it would be too lose and fall apart. The miniMaker coped really well with this print. The resulting fish is satisfyingly wobbly. Then we got ambitious and tried a nested gear print which demonstrates the kind of object that can be 3D printed but not easily made using other methods. 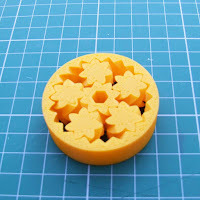 The gears print as a single object which can move once printed. 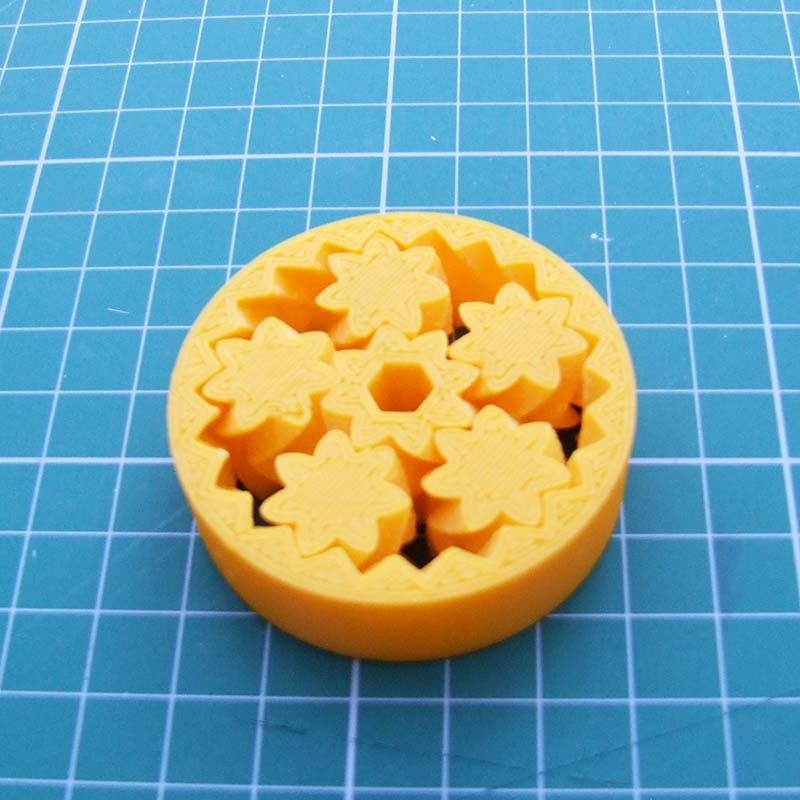 The gears were a little jammed when they came of the printer which is normal but it was easy to get the parts to separate. We did find that the gears jammed a little at first due to a few imperfections, but the gears loosened up as we played with them. This is pretty impressive and means that the printer is capable of printing quite precisely. We did have a failed print. The XYZWare software warned us that there was a problem with the model and attempted to fix it. Something must have gone wrong. This is a tricky process. So if you are just downloading 3D models that haven't been tested on this 3D printer then you may have some failures. The software is straightforward to use but it could definitely be improved. The software runs on Windows and Linux so we ran it on my kids Windows laptops. It was a little slow and doesn't give you an indication that it is working so my kids were wondering whether they needed to click again. Once you've gone through the process you know that it is actually responding and you just have to be patient. For some reasons models seem to print rotated 180 degrees so the test keyring was upside down and Pikachu models had their tails facing the front. This wasn't ideal as the kids wanted to watch the models being printed. You can rotate models in the software so we did this for other prints. You can also scale models and it's easy to add multiple models to print in one go. Don't go too crazy at first, but this can speed up printing considerably when you want to print lots of things. The slicing software (which prepares models for printing) did quite a good job with random models that we downloaded from Thingiverse which weren't designed for this printer. 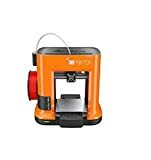 The software shows you useful information about the print including how much filament it estimates the print will use and how much time it will take. Once your 3D print has finished you'll need to get it off the print bed. This can be a tricky thing with some 3D printers. We found that with the miniMaker small objects could be removed easy, just by picking them up but larger objects sometimes got stuck. I was able to remove most using just my fingernails. A tool is included for prising models off the bed - this definitely shouldn't be done by children. One half of our twisty pot was hard to get off the bed, but we were able to do it without damaging the tape. The da Vinci miniMaker uses proprietary PLA filament. The PLA is good quality and tested to be child-friendly. You can only use XYZPrinting filament designed for this range of printers. You can't just buy any PLA. When comparing the price it's important to compare with good quality PLA. It turns out that for us in the UK the cost of the refills is actually cheaper than the good quality PLA that we buy. You can certainly buy cheaper PLA but we've had bad experiences with some cheaper stuff and that's the kind of thing that will put families off 3D printing. The bigger issue for us is that you are limited to XYZPrinting's range of colours. But they've got a really nice range of solid and transparent colours as well and gold and natural. We would expect this range to grow as the popularity of this printer increases which think it will. One of the reasons the printer is so cheap to buy is that it doesn't have to cope with a wide variety of materials. The real thing to think about is how much it costs to print the kind of things you want to print. If you buy a 600g reel of PLA for $28 then that's 4.7c per gram. 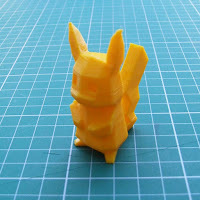 This 5.8cm tall Pikachu weighs about 7g so it would cost about 33c to print. 600g is quite a lot of Pikachus. The other thing to remember is that 3D printing is slow so kids can't burn through lots of filament in a hurry! 3D printing is a slow process. We've been pretty impressed with how quickly the da Vinci miniMaker produces good quality prints. But 'quickly' is relative, you need to set expectations! The nesting twisty pot took about 80 minutes to print both parts simultaneously. When you get a 3D printer you'll probably be caught up in the excitement and not really notice the noise, but after a while the novelty will wear off. I've got used to the near-constant noise of a 3D printer whenever my partner is at home. I'm pleased to say that the miniMaker is quieter than our other printers. That's not to say that it's quiet! You are going to notice that it's there. But it's pretty good as 3D printers go. The noise isn't particularly unpleasant. There's also a similar da Vinci mini model which is orange rather than brightly coloured and offers printing via Wifi. 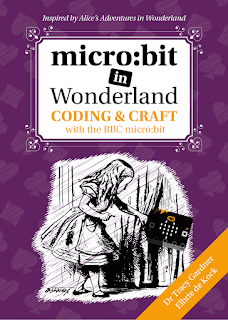 My kids prefer the orange colour of the mini which makes the device look more like a tool, their only criticism of the miniMaker was the bright colours. The Wifi is also a really useful feature when you don't want to have the 3D printer directly next to the computer that you're printing from. 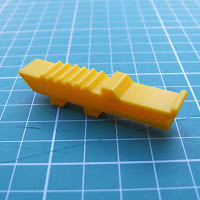 Though you can just disconnect from the miniMaker once the design has been transmitted. 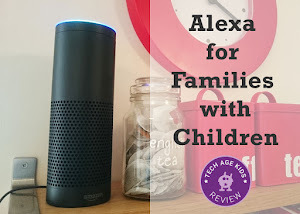 If you're getting a da Vinci miniMaker as a family Christmas gift or an awesome birthday gift then it's worth planning ahead so things so smoothly on the day, especially for younger children. Download the XYZWare software in advance. You'll need to create an account to do this so get this out of the way in advance. Choose some models that you want to print and download them. 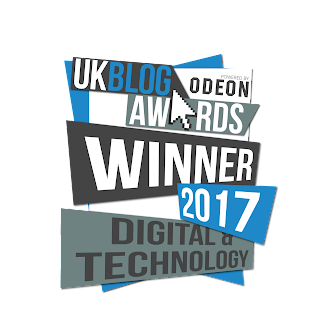 Some of the ones we have mentioned in this article are good ones as you know they are likely to print without major problems. Otherwise you'll spend ages trying to think or something to print which can be surprisingly hard when you have so much choice! Load the filament into the 3D printer following the instructions. There will be plenty of time for the kids to learn about this process later, just have is ready to go. Note that once the filament is loaded you can't close the lid of the box so you'll either need to partially dismantle it or get creative with your wrapping. A patterned tablecloth with a big reveal would work! Consider printing a test print of one of the sample models first. Then you'll know that everything is good. On the day, set expectations. 3D Printing is slow, noisy and imperfect. But it's hugely fun and creative. In our testing the miniMaker just works. XYZWare software uses STL files which means that you have access to lots of free models that you can print. 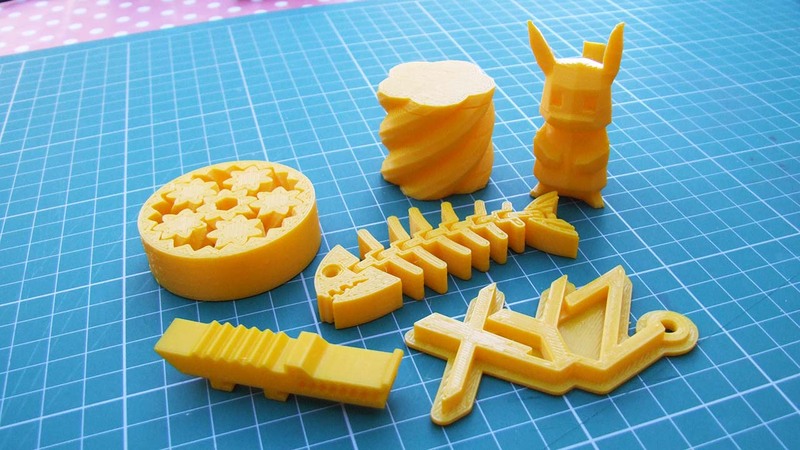 It also means that you can use a variety of tools to create your own models for 3D printing. We think it's worth paying a little extra for the da Vinci mini version of the printer with Wifi. I was just mulling over making the purchase and your review def sold me on it. I might opt for the wifi version now. I was wondering what the difference was, and that led me here.